Books 1-3 and the prequel novella of the Breakers series. 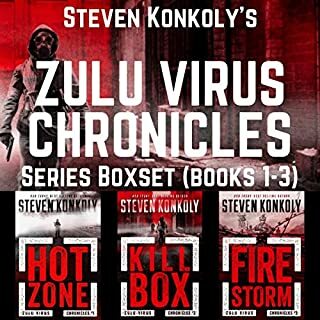 In the Breakers series, humanity faces not one apocalypse, but two: first a lethal pandemic, then a war against those who made the virus. 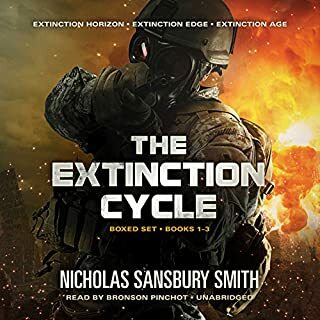 I enjoyed the story, seeing a major world event from the perspective of different characters was very interesting but it was quite obvious from the outset that each thread would come together and interact later in the book. My problem was with the narrator, he sounded like he was doing an impression of captain kirk in the style of Adam West, over the top hammy voice acting, his intonation made one charater (a quite likeable guy) sound like a slimy creep. Luckily in the later books he seemed to tone it down and was bearable towards the end. The concentration on the characters and the realism of them. I like the format of each book which jumps back and forth between two main characters. 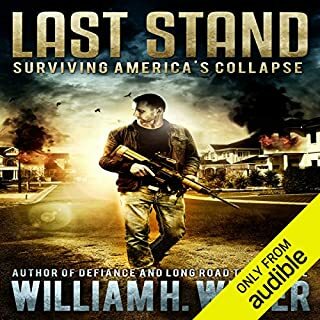 Upon reading he book description on Audible I thought there might be a risk that the story would be boring (I'm thinking of something like The Passage which I had to return as it wasn't going anywhere after hours and hours of listening). But even at the start of each story, there is something interesting about the lives of each character. I also like how the series completely managed to surprise me (I'm specifically thinking about the bit immediately following where the radio presenter tells people that they may want to sit down - I didn't see that coming at all), which is rare these days. I loved the idea of the book and the length made me think I was getting a real good story. I just didn't like any of it! The story flips from person to person without gaps. So I was never sure who I was listening to until halfway through that chapter. There was no main character that stuck out to follow so it was like a fly on the wall of a disaster. Not a story. I found myself getting lost and zoning out. Only to realise that if listened to a lot without even hearing it! Really really disappointed. 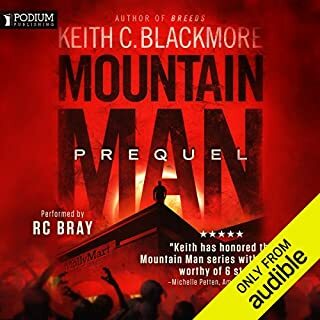 Love the narrator as he does this genre easily. But for the love of God separate the chapters! first tip. play the book at 1.3x speed or more otherwise the narrator will drive you mad. the prequel is a stand alone so far and pretty good. if you fancy an alternative zombie like alien invasion this book will suit. returning book. story seems ok but I can't get into it because of the awful droning voice of the narrator ! Sounds like he's half asleep! Tried to stay with the story but the narrator was too much to bear therefor a poor rating. Has narrator got a cold? Brilliant! a long and epic tale over 3 books. This series has entertained me for weeks! twists and turns and extremely imaginatively written. Brilliant! 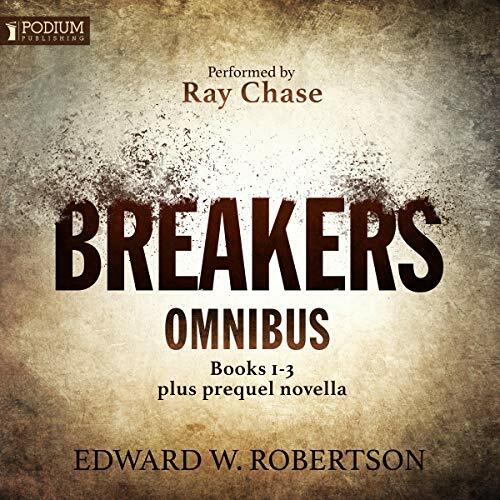 Where does The Breakers Omnibus rank among all the audiobooks you’ve listened to so far? This series took me completely by surprise. It ranks right near the top of the list of audiobooks I've had the pleasure of listening to. What other book might you compare The Breakers Omnibus to and why? 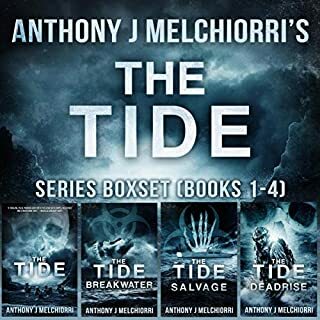 The obvious series to compare it to is the Cycle of Arawn, given the same author, however I would put it with the Wool Omnibus, The Mistborn Series and oddly enough Adrians Undead Diary. I have to admit I really enjoyed this book. What about Ray Chase’s performance did you like? At first I was really having to work to not focus on the breathy and oddly nonrhythmic way he was performing the prelude (Book 0) but I got in the groove and the story really sucked me in. I was really happy I stuck around, In Books 1, 2 and 3 he doesn't use the same manner of speaking as book 0 and is a wonderful performer. His various characters are really well done, great variety and all very appropriate to how I envisioned the characters. I was completely engaged by both his performance and the story. It was definitely a book I couldn't "put down". Its such a monster of an Omnibus I kept fearing the end of the individual volume was the end of the entire tale and was thankful at the start of each new volume. When I realized I was on volume 3 (the fourth if you count 0) I was relieved to see there are more in the series as stand alone books. 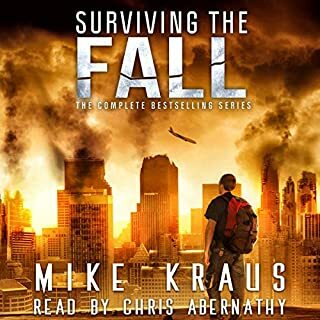 I was really feeling stuck in a rut and struggling to find new audio books to listen to. This was a book I only gave a shot because I realized it was by the same author as the Cycle of Arawn and figured I could always return it. I am so glad I gave it a shot. 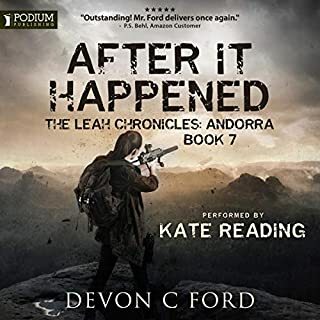 The evolution of the story and the characters is awesome, the way they all split apart, both geographically and chronologically, and tie back together is oddly rewarding, visiting familiar events from various perspectives and via differing roads. As the story progresses there really is an evolution, through the disease and its causes and the aftermath. 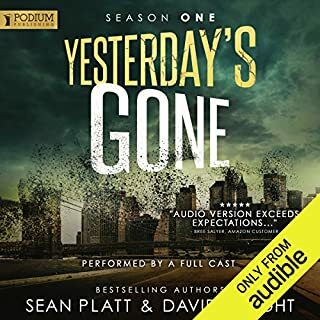 I have been voraciously listening to audiobooks since first subscribing to Audible in 2004 and I listen to books constantly, both from here and elsewhere, to help with my ADHD and wandering mind. That's meant I have periods of really feeling like there isn't anything I feel like listening to (While I'm waiting for the next Sanderson novel, the years of waiting for each Game of Thrones novel or the next book in one of the many series). This one was one that I am very glad I stumbled upon. In the top 5%, which says a lot given the authors I love. Compelling, varied protagonists (who often have very dark sides but retain their humanity, a difficult line to walk) and some plot lines with twists I didn't see coming. Not a spoiler (I hope) but like the best of Joss Whedon's works, no main character is safe or immortal. But that make this series much more authentic, especially given the whole apocalypse theme. Hard to pick just one, but the outcome of the slow evolution of dependent college girl Tristan turned Sarah Conner, and her unrelenting quest to find her little brother. Edward Robertson is one of my favorite new authors in fantasy and science fiction. 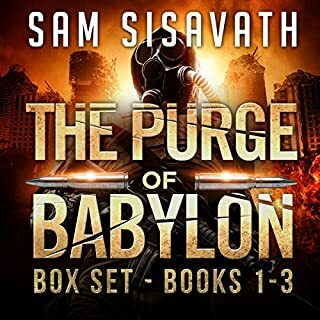 He's up there with Joe Abercrombie (First Law Trilogy), Michael J. Sullivan (The Riyria Chronicles), Scott Lynch, Peter F. Hamilton (various space operas), Mira Grant (aka Seanan McGuire), Matthew Stover (Caine novels), and even George R.R. Martin. So be ready for DARK. He's a fantastic author--engaging story lines, wonderful character development, great dialogue that avoids the cliches so often found in fantasy and science fiction, and near perfect grammar. (Okay, so I'm a geek, but too many works are dreck due to terrible grammar). 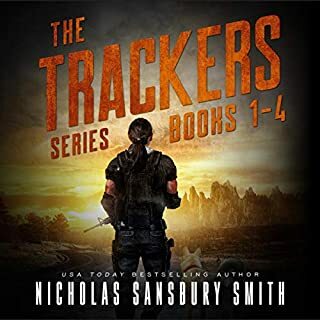 First I listened almost without break to his epic fantasy the "Cycle of Arawn" and it was so good, I decided to give "Breakers" a try, though I generally dislike the apocalyptic genre. I was hooked after 15 minutes. I bought the Breakers Omnibus, Books 1-3, and now plan to buy Books 4 & 5 individually. It was like reading King's "The Stand" all those years ago, but without the mystical detour. 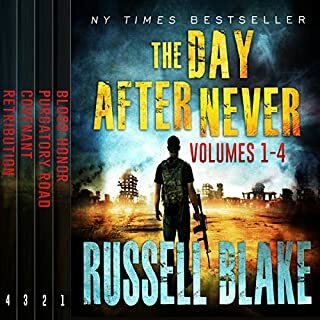 Robertson puts new twists on the catastrophic plague and alien invasion tropes that I haven't experienced since Grant's original, surprisingly moving zombie "Newsflesh Trilogy" (another genre I usually avoid like the, um, plague). 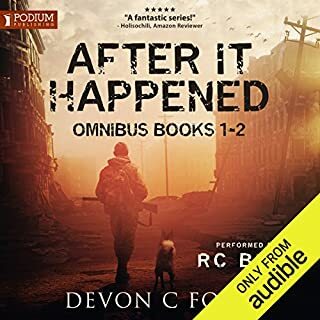 Given the two amazing omnibus deals Audible is running (for now!) go for it. If you're more of a fantasy fan, then get "Arawn." If sci-fi/ horror is more your thing, then "Breakers." But like me, be ready to download another 50 or 60 hours of fiction no matter which you pick first. I'm glad I didn't listen to the naysayers! After reading several negative reviews about Ray Chase's narration style, I almost skipped on this one. 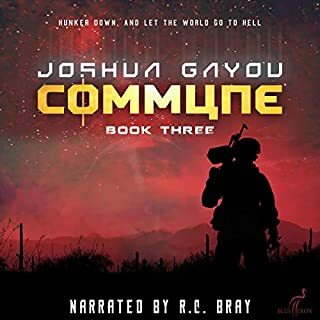 I know what it's like to have an audiobook experience ruined by a grating narration style, so I went in fully prepared to take advantage of Audible's awesome return policy. Ten minutes in, and I was hooked. The narrator's style, while different, was purposeful, and worked very well for a book with so many characters and such a sweeping story arc. 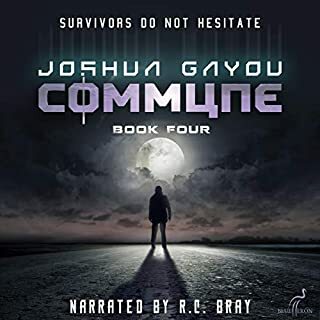 I thoroughly enjoyed the audiobook (which was actually comprised of three different stories and a prequel). Very well written, great character development, and a story line that caught me completely off guard on more than one occasion! 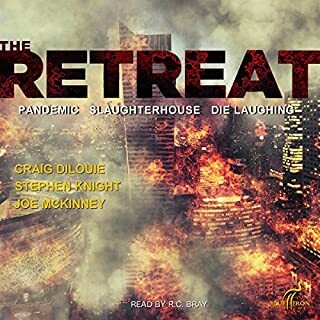 There might have been a chapter or two that a more aggressive editor would have red flagged (where the story seemed to bog down a bit), but to be fair, at least 40 of the more than 42 hours was an absolutely engaging read/listen. Just like some movies, there is a constant mixure of LOUD and whispering. The reader sounds very reminiscent of Scott Brick, but he thinks the best way to convey the female lead character is with a husky whisper that, in a vehicle or walking path or any unpristine environment makes half of the book unintelligible unless you increase the volume to the point one person us yelling at you while the other whispers. 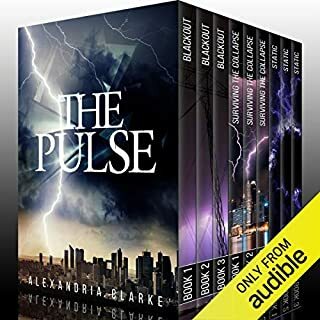 The prequel novella is the most interesting of all the books in this collection. One of the &quot;books&quot; is like 5 minutes long. Everything goes downhill pretty fast after the prequel, and by the end, you don't remember or care about anybody except Elly and Chip from the prequel and wish the story would just get on with their tale. This volume sets up the beginning of a terrible plague as suffered by several different couples. There are several volumes following, so there is hope. However, most of them are about Walt, a character in the second book. I don't think I will continue. Ray Chase did well in the prequel; the rest sounded like someone else with weird sentence endings. I tend to pay for short books (15 hours or less) out of pocket and reserve my credits for longer books. I have to make good choices for the longies as I don't want to have to make returns. I can tell an hour in whether or not I will enjoy a book. I was unsure about Breakers but given the excellent reviews I decided to take a chance. I'm so glad I did. This was an engaging, fun and rather thought producing story that held up for the entire 40+ hours. That's a feat in and of itself. When a crazy, out of left field element was introduced I rolled my eyes. I though the story would start to downhill from there. The son of a gun (I assume I can't use the B word) writer actually made it work. 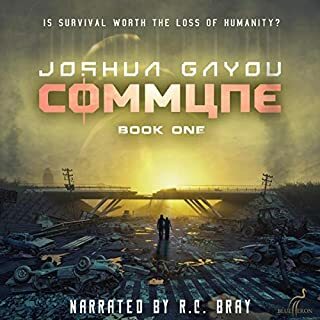 It's a post-apocalyptic, sci-fi hybrid that manages to blend the two in a way that makes sense. As a fan of both of these genres I was not disappointed. The most memorable moment was that out of left field development. The story is riddled with one-liners. While they made me laugh despite some tight situations, I think they were overused. The narrator chose to use gruff voices for all, if not all of the male characters. This is a current trend used by many actors in t.v and movies. The one-liners are deadpanned. Given the many, many uses of one-liners I don't know that he could have done it any other way. The characters by and large are smart alecks (I assume I can't use the other, use of the A word) . Smart alecks don't pause or necessarily inflect one-liners differently than other sentences spoken. As a native New Yorker It is the way I have normally heard smart alecky statements expressed and there was nothing off-putting about it to me. That is the way smart alecks communicate. It is a use of language that is natural to the speaker and does not necessarily produce a change of inflection or tone when used. One liners sometimes cause a change in body language. I don’t know how he could have made that seen in his narration. He was reading the book as the author wrote it. I am satisfied with the choices he made. I don’t like series more than 3 books long. The filler that goes on after that annoys the hell (I assume I can’t use the F word) out of me. 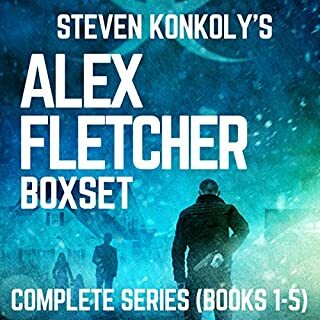 The reviews for the rest of the next books seem to indicate that is not true of this series. If so, I will be sure to post another review. I enjoyed it and will listen again. Enjoyed the storyline but the narrator, eh not so much. The male voices r quite 'wimpy' but his female voices were the worst. Whispering like a 40 year old smoker is not what women on earth sound like. He switches to his own deep voice when not doing a voice and it's much louder in volume so I had to change volume often. Too dramatic. Couldn't listen past 3 hours. It's an exciting story, but, as a narrator, Ray Chase sounds a bit too much like Ron Burgundy for my taste. R.C. Bray would have made this a fantastic listen. I highly recommend trying the sample before purchasing. Good story. Great characters. Lots of interesting ideas and events. Could have done without the plethora of masturbation reference though. The story is solid, not great but a good "read." It has twists and turns, a good plot, surprises to keep you interested. The challenge for me is the narration. Chase reads the entire three books in a voice filled with overly dramatic tension. Every single word seems drawn out, emphasized, dramatic; exhausting to listen to. It steals from the passages that may benefit from dramatic influence, it just gets old fast. If you can get past the overacting, this is an engaging story.